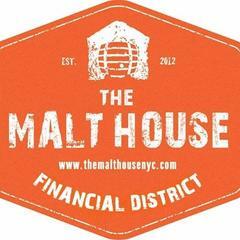 The Malt House Financial District is a bustling 7000 Sq Ft three level American Tavern based in the heart of Historic New York. Our ground floor bar features 18ft Ceilings, exposed Carnegie Steel Beams, Rustic Brick and Reclaimed Wood promoting our 60ft grand Arch Main Bar.<br><br>Executive chef Armando Avila cooks up American themed classic-comfort dishes. Sourcing all of our food Locally guarantees the freshest Sustainable foods whenever possible for all our customers.<br><br>Join us nightly, beneath the underbelly of NY in The Armoury Cocktail Parlour featuring over 200 American Whiskies, 40 draft lines, and a rotating list of historically themed cocktails.